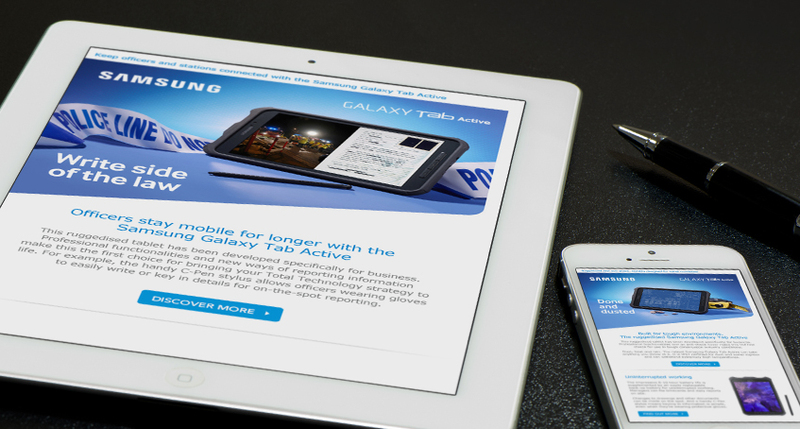 Samsung approached Gilroy to help launch two flagship tablets to decision makers across five market sectors, as part of a multi-agency campaign. Gilroy conducted research and developed profiles for the target decision makers. These then formed personalised propositions which were communicated via a mix of targeted EDMs, infographics, online and print-based ads.